The IRIS Science fair is a national program in India organized by the Department of Science and Technology in association with the Confederation of Indian Industry and Intel International Science and Engineering Fair to bring out the best student talent in original research. Among thousands of entries that were submitted from across the country, 111 of them were short-listed for the national level competition. We are proud to inform that our daughter, Sanjna Rao, a 7th grade student of Sishu Griha Montessori and High School, Bangalore and her classmate Sharanya's entry is one of them. Sanjna's project is titled Power Consumption by Computer Monitors at Different Contrast/Brightness levels and its Impact on Carbon Footprint and involves testing several computer monitors (CRTs, LCDs, etc) and noting the change in power consumption when the brightness and contrast values were changed. The power consumed was measured using a power meter and the resulting readings were interpreted empirically as well as using simultaneous equations, and solved to arrive at a mathemtical correlation between the two. What they found thus was further empirically converted to a figure that represents the impact on the environment (carbon footprint). We congratulate the two girls as well as their project guide Mr.Surynanarayana Rao, whose enthusiasm and zeal for science projects is one of the leading factors in this success. In a little over two months from now, these finalists from all over India will slog it out at the IRIS Science fair to compete with each other for the top slot. We wish them all the best. The CP_ATTREORDER command is used to reorder attributes in a block. 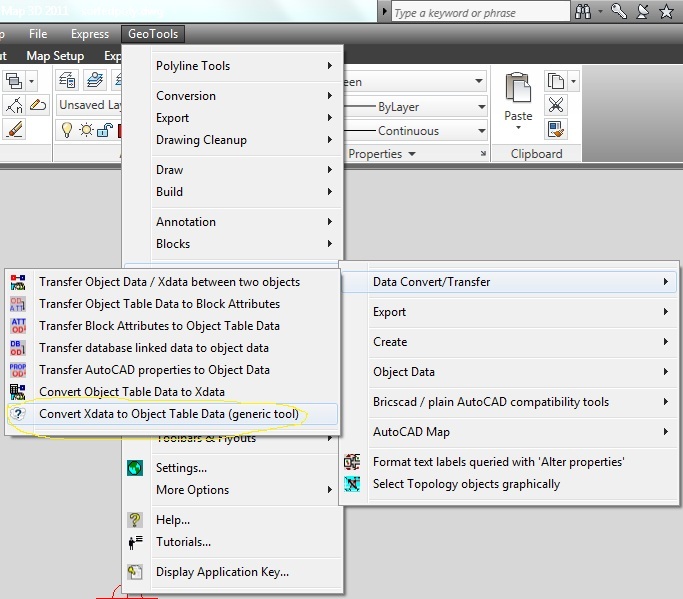 This command offers functionality that is similar to the BATTMAN command of AutoCAD. CP_ATTREORDER command is significant as it makes the attribute re-ordering functionality available for Bricscad users also. In addition, CP_ATTREORDER allows re-ordering of ATTDEF objects in a block DWG. This is something that is not possible with BATTMAN. BATTMAN requires that the block be first inserted in the current drawing and then the attributes re-ordered. CP_ATTREORDER allows re-ordering of attribute definition at the ATTDEF level also. Please be aware that CP_ATTREORDER will only re-order the attributes in the block definition. This will come into effect only on future insertions of the block. If you want to update and synchronize the existing instances of blocks with the new attribute order, you must run the CP_REPBLK command and replace each block with the new definition. This does not affect any values assigned to attributes in each block. CP_FILEMAN (CADPower -> Miscellaneous Tools -> File Management -> File Manager): The CP_FILEMAN command provides an easy interface to copy, move, erase, touch and count your files. CP_XP_ATT (CADPower -> Block Tools -> Block-related -> Explode blocks-retain attributes as text): There was a regression bug in this command which caused incorrect selection of blocks when manual selection was used. This has now been fixed. In Bricscad, the CP_XP_ATT command is also available as the BURST command. CP_EXPLODE2LAYER (CADPower -> Block-related -> Explode blocks to a specified layer): There was a regression bug in this command which has now been fixed. CP_MREDEFINE (CADPower -> Block-related -> Multiple Redefine Blocks - Lyr/Clr): New selection options have been provided for the layer and color properties. They may be selected from dialog boxes now. GT_XD2OD (GeoTools -> AutoCAD Map Tools -> Convert Xdata to Object Data [generic tool]): We added this command in the last update 13.06 of GeoTools. This has now been updated and allows you to save and restore the XD-to-OD parameters from INI files thereby saving the trouble of having to setup the mapping parameters each time. Additionally, a new command called GT_XD2OD_BAT now allows the command to run entirely in un-attended batch mode once you have created the mapping parameters INI file. Anyone who needs to manage multiple files across various folders has to use a file manager tool. A File Manager is a operating system application that is used to manage files [copy, delete, move,view etc], launch applications etc. Windows comes with its own built-in file manager called Windows Explorer. Ubuntu (Linux) has its own called Nautilus. However, I do not like either of them and prefer a two-panel view file manager like Total Commander for Windows and the Gnome Commander for Linux. The two panels offered by these file managers lets you look at two different folders from your computer (or elsewhere/network neighbourhood/ even remote ftp location) and perform file operations between them. Operations like Copy, Move, Touch, Delete etc can be performed and the results seen immediately in the two panels. File attribute filters can be specified optionally which permit only files of a certain kind, date, size, or attribute to be processed. As you can see above, the CP_FILEMAN command is useful to Copy, Move, Delete, Touch or Count a bunch of files located within a single folder or a directory tree.In the good old days of DOS, we used the XCOPY command to perform these operations. Now, you can do pretty much the same using the CP_FILEMAN command in CADPower. We are revising the retail prices of GeoTools and CADPower software from October 1, 2012. There will be a 15% increase in prices of both software, to better reflect the value these two products bring to the CAD user. Development of new features continues and many new additions and improvements are planned in the coming months. If you wish to avail of the existing prices, you still have 2 weeks to decide and make your purchase. The DRAWORDER command in AutoCAD and Bricscad can be used to change the order of drawing of entities. By default entities are (re)drawn in the order in which were added to the DWG: new entities are added at the back of the file, hence they are drawn last. This means they are drawn on top of previously added entities. The DRAWORDER command allows to modify this default behavior. Select the entity or entities you want to change the draworder of, then right click and choose Draw Order in the context menu. In the flyout menu choose the appropriate option: Bring to Front, Send to Back, Move Forward, Move Backward. However, the DRAWORDER command is not a keyboard shortcut command and involves making two entity selections and choosing from a bunch of prompted options and having to make Front/Back/Send/Bring choices based on what you picked first and what you picked next. Not very easy? Select the entity or entities. Press Ctrl X to cut the selection and copy it to the clipboard. Press Ctrl V; the selection is attached to the crosshairs. Press the ENTER key to paste the entities at their original location. The pasted entities become the latest or 'youngest' entities, and therefore sit on top off 'older' entities. You can perform all of this with an easy click of your mouse and a Ctrl-X, Ctrl-V sequence. Isn't that easier than having to fiddle with the DRAWORDER command? By the way, you can employ this trick in AutoCAD also. Reproduced with permission on http://blog.bricsys.com . Please do not reproduce on another blog/web-site without having sought explicit permission from the author. Instead, you may provide a hyper-link to this article from your blog. Whilst you and your colleagues provide such a wealth of handy tools, what has happened as a result is that it's often a bit of challenge to seek the right tool, or indeed see if there is a tool we can make use of. I may hazard a guess to say that users may well not realise what abilities they have, and end up under-using GeoTools or CADPower. I wonder if you could develop a method, in the help, or preferably in the interface itself, a way to type in keyword so that a user can find all the tools to do with say TEXT, or POLYLINES etc. Essentially some kind of search function. For example, I am trying to see if a tool exists where I can alter the z value of a point by clicking on a text object (similar to Assign Contour Elevations from Text Objects, but for a point object rather than polyline). There's so many tools, it's difficult to search. I must acknowledge that this is indeed a justified point. I myself find it difficult to locate tools that I know exist, but don't exactly know where. The easiest way to locate them is by searching the CHM user manual by keywords. Go to GeoTools -> Help, open the CHM file and go to the "Search" tab and type in keywords. The search results will show where those keywords appear in the entire user-manual. You can locate your tools easily this way. Trying to find the tool that Andy wanted, I aggregated his requirement into keywords. I started with "assign properties" as my search keyword as this best describes what he wanted. This led me to the "GeoTools Object Conversion Toolkit page" as the first search result. Searching further in this page led me to the GT_ASN_PROP command which was exactly what he wanted. I hope this tip will be helpful to fellow GeoTools users who want to find their way around using our software.